Oh, and last but not least. The winner of the $500 Neiman Marcus Giveaway!! I love everything about this look! Your sweater and scarf look so cozy and those boots are incredible! Ok … this scarf … is the best I have seen this season! I love the blanket scarf style, but I am yet to find one 'unique'. I am a huge fan of this one! Such a great cozy fall look! Love the mixed plaid of this scarf. such a beautiful fall loo, we aren't cool enough here yet for such a fab sweater! Stopping in from the link up. I love the sweater, scarf and boots!! I really like how the boots come up over the knee and are functional as well as cute. I have been thinking about more scarves and sweaters but I hardly wear the ones I have. Maybe because it is still warm in AZ. Just gorgeous!! Thanks for styling our piece so beautifully. 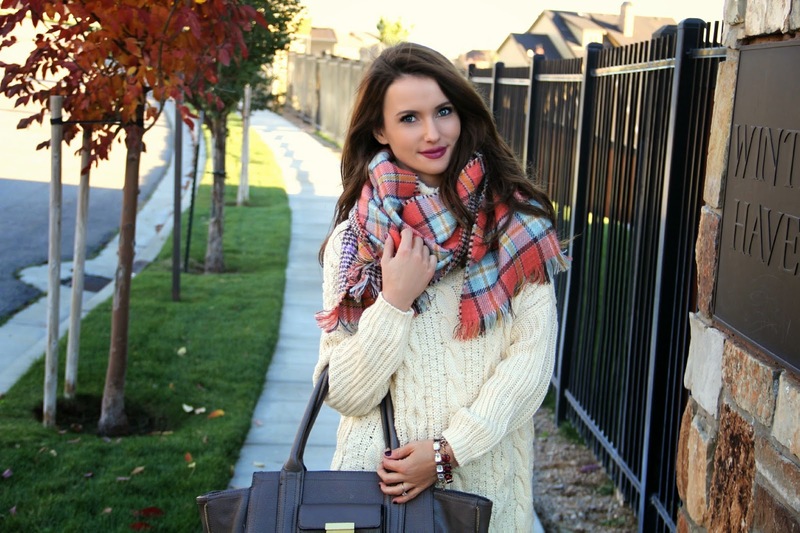 The plaid blanket scarves are a must have this fall! PERFECT fall outfit!! Love the chunky knit with the plaid!! Amazing outfit. I love everything! I don't have a blanket scarf yet, but I'm loving them and hope to find one I like soon! And O-M-G on those boots! I love the lace up backs! 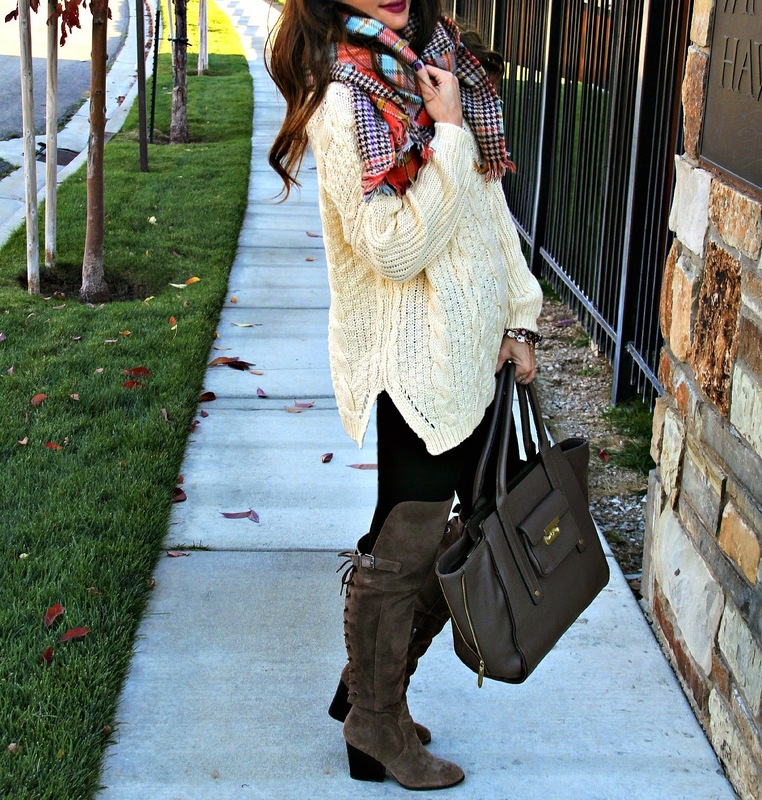 Love everything about the look – the fisherman sweater, plaid scarf, tall boots – perfection!